With 2018 being water under the bridge, we not only get to reflect what an awesome year it was for music in Kentucky, but get to look ahead to an amazing year of concerts and festivals throughout the bluegrass. To help plan your weekends, we here at Kentucky Country Music have compiled a list of ten must see live country music happenings in 2019. Keep in mind, this list is totally subjective, so based on your personal preferences, you may prefer one or another regardless of where it ranks. If you had driven through the courthouse square in Pineville a few years ago, you would almost not believe it was the same town as it is today. That’s because in a few short years, Main Street Pineville and Mayor Scott Madon have helped give it a facelift of epic proportions. The dilapidated and empty storefronts are long gone. Last year they were able to achieve a 100% occupancy rate, something that is unheard of in southeastern Kentucky. Among great new establishments such as Sauced Craft Pizza, The Butchers Pub, Ol’ Bootleggers Spirits, Pine Mountain Crossfit, and Gem City Cakes is The Bell Theater. The Bell Theatre is another building you would have noticed as being vacant several years ago. However, after two years’ worth of massive renovations, she is now open again and hosting movies, plays, and live concerts. The past two years have seen the advent of the Bell Theater Fall and Winter Concert Series from November until March. In a little town that has never seen shows from national acts, the response has been incredible. Even Thursday night sellouts are regular, and folks come from far and wide to catch a show at the Bell Theatre. Recent acts have included Ray Wylie Hubbard, Colter Wall, John Moreland, The Steel Woods, Ward Davis, Nicholas Jamerson, The Ghost of Paul Revere, Chris Knight, and more. Check out our review of Ward Davis with Tennesse Jet here. Few places in Kentucky are as beloved by nature lovers as the Natural Bridge/Red River Gorge area. It has become a magnet for hikers, rock climbers, fly-fishermen, and anyone who loves to immerse themselves in the core of Appalachia. Heck, it’s also home to one of the most amazing pizza places in the eastern United States (shout out to Miguel’s!). Now it’s also home to some mighty fine pickin’ and singin’ thanks to the Festival of the Red. In their second year, they have put together an incredible line up of some of the premier acts from our region. Headlining the event is Kentucky honky-tonk legend Justin Wells, who is joined by 28 other amazing acts including Laid Back Country Picker, Chelsea Nolan, Sean Whiting and the Handsome Bastards, Eric Bolander and Those Assholes, Luna and the Mountain Jets, the Local Honeys, and many more. This past winter marked the inaugural Rossfest at the Paramount Theater in Ashland, Kentucky. The event was formed to help honor a patriarch and teacher from the local community, Ron Ross. Josh Brown (from Josh Brown and the Hard Living Legends) was a childhood friend of Ron’s son, and the idea for Rossfest was conceived after Ron’s tragic death in October of 2018 (https://www.herald-dispatch.com/features_entertainment/rossfest-named-after-teacher-music-lover/article_5dc43ece-d477-53e6-86ee-a7b875eb4f59.html). The Moonshiner’s Ball, held on the banks of the Rockcastle River near Livingston, KY, has consistently produced a quality and diverse line up that features regional and national bands across a variety of genres. Rock, bluegrass, funk, R&B, country, pop, and everything in between have graced the stage at the Ball. 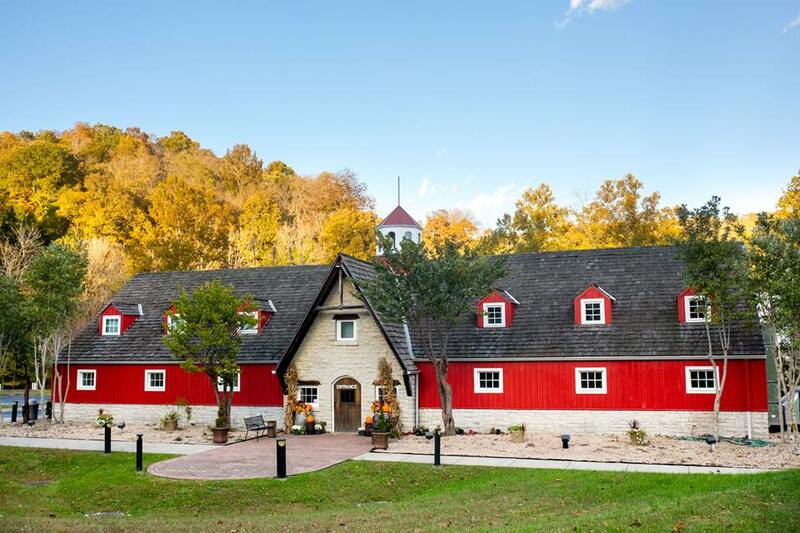 Located in beautiful Rockcastle County, the Moonshiner’s Ball also gives concert-goers the opportunity to breath in Appalachia in more ways than just musically. Camping, hiking, and kayaking opportunities abound at the festival location, giving folks the chance to fill every minute of their visit with memories they’ll never forget. Past performers include James McMurty, Tyler Childers, The Wooks, The Marcus King Band, Joslyn and the Sweet Compression, Moon Hooch, and many more. If you like your music festival with a heapin’ dose of some of the best stuff Appalachia has to offer…make sure to put the Moonshiners Ball on your list. Travis with Moonshiner’s Ball reflected on popularity of their festival. “In a time of huge corporate mega-fests, where locally grown festivals have been bought and sold and are mostly owned by one of two corporations, The Moonshiner’s Ball remains focused on music, art and the organically-grown community of music and art lovers that have always defined it. We’re about discovering bands, championing what’s great here in Kentucky, and loving each other,” Travis said. The summer of 2018 belonged to the MMFers. While a few Captain Buzzkill’s tried to stir the pot by calling attention to the tongue-in-cheek nickname for festival attendees (https://www.wymt.com/content/news/New-festival-brings-music-and-controversy-to-Manchester-492120901.html), in essence all they did was help promote an already incredible first-year music festival in the City of Hope. The brainchild of local music enthusiast Tim Parks and his friends, he was able to sell the idea of an outlaw country music festival to local officials to bring a huge crowd to Manchester, which could help facilitate much-needed tourism dollars spent in the area. 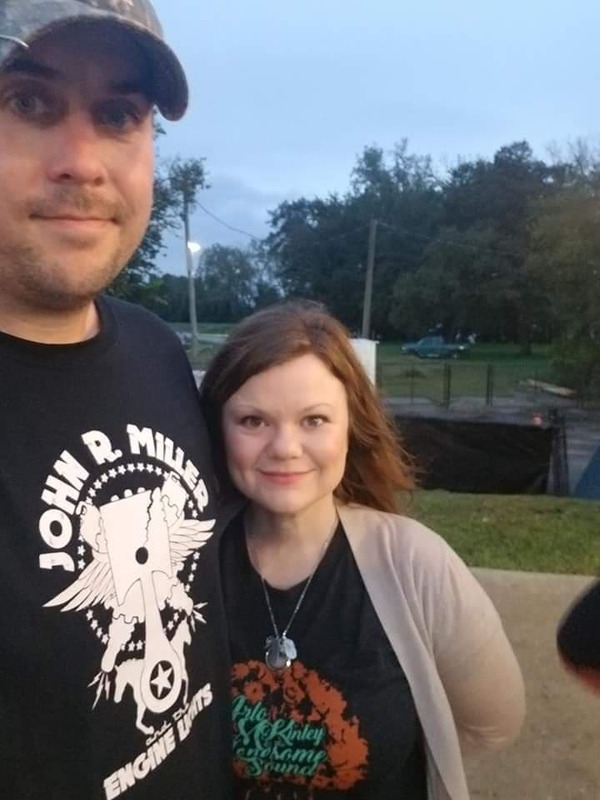 His prophecy proved true as thousands of people descended into downtown Manchester to catch an amazing weekend of music including Julie Roberts, Chris Knight, Ray Wylie Hubbard, and headliners Whiskey Myers, who absolutely melted peoples face off. The Levitt AMP [Your City] Music Series is a ten-week, free concert series that is held throughout various cities in the United States. It is born from the California-based Levitt Foundation, who graciously award 18 cities in America with a matching grant to fund the free concert series. We here in the Commonwealth are lucky to have three cities chosen as recipients in 2019, and Middlesboro is one of three cities in the country to receive a multi-year grant to fund the series through 2021. The first thing to note, is while you likely be able to catch some country and bluegrass music at any given date of the Levitt AMP Music Series in Berea, Middlesboro, and Whitesburg…they are so much more than that. It’s a point of emphasis for each of these series’ to really explore a multitude of genres of live music and bring folks a unique and diverse experience each week. But what makes this series and the Levitt Foundation so incredibly special is not just the music: it’s what the music helps accomplish in other ancillary aspects like downtown revitalization, community fellowship, and broadening horizons by bringing a diverse musical line up to small towns. For Middlesboro, they have received the grant since its conception, and the progress they have made in four years has been incredible. The ROMP Festival in Owensboro, Kentucky has made huge strides by attracting some of the biggest names in country and bluegrass music. Located in the western corner of the state, and known for their world-famous BBQ, the folks behind the ROMP Festival are putting another stamp on their great city by making it a destination for concert-goers. The festival has grown tremendously since its conception in 2011. 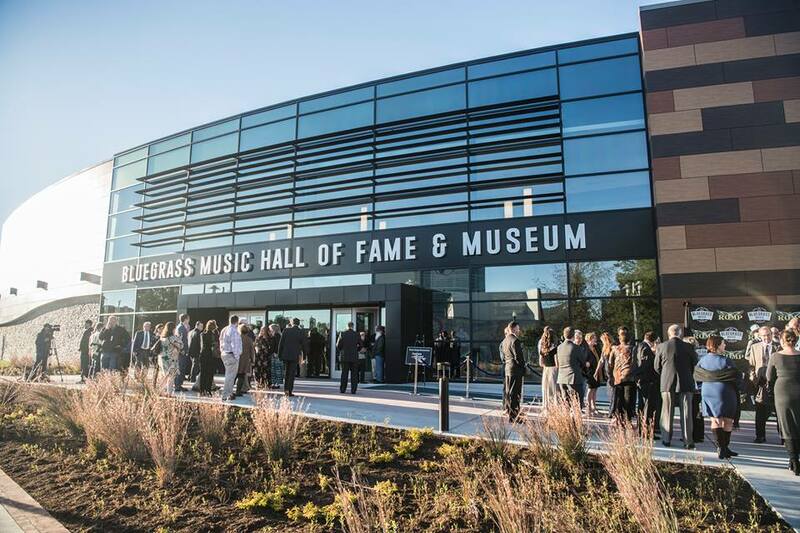 Attendees have witnessed performances from the likes of Merle Haggard, John Prine, Old Crow Medicine Show, and a staggering number of other high-profile acts. And for 2019, they’re bringing the smoke again: Ricky Skaggs, Patty Loveless, Trampled By Turtles, The Wood Brothers, Billy Strings, Steve Earle and the Dukes, Del McCoury, Rhonda Vincent and the Rage, plus a lot more will descend on Yellow Creek Park in Daviess County for what looks like their best line up yet. 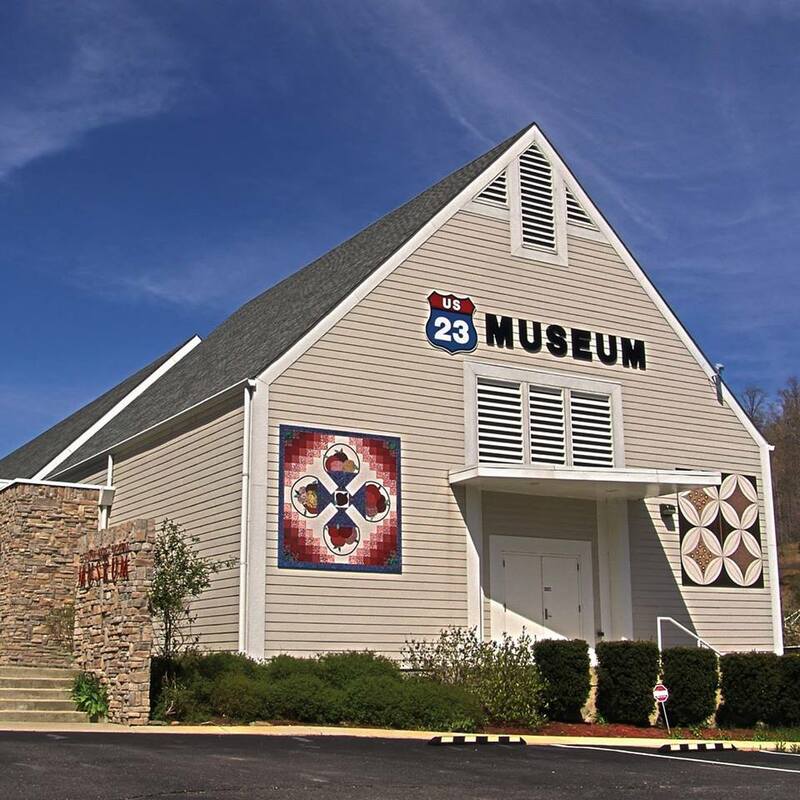 Don’t forget, while you are in Owensboro, be sure to check out the newly renovated Bluegrass Music Museum. For 25 years now, the Master Musicians Festival in Somerset has become one of the most well recognized festivals in the entire Commonwealth. John Prine, Willie Nelson, The Avett Brothers, Steve Earle, Dwight Yoakum, and Old Crow Medicine Show are just a handful of nationally renowned artists that have graced the stage in Somerset. Master Musicians Festival was named the Southeastern Tourism Society’s “Festival of the Year” in 2013 and for good reason. In addition to fantastic music, they have plenty of craft, food, and drink vendors placed throughout the festival. With 25 years of experience under their belt, they have throwing a quality festival down to an art. Just like the Moonshiner’s Ball and the Levitt AMP Series, Master Musician Festival doesn’t just limit their line up to country and bluegrass acts. Rock, funk, roots, R&B, jazz and many other genres can be heard through the air around the festival field, which keep the entire weekend interesting and fresh. Don’t miss this year’s lineup featuring alt-country icon Jason Isbell as the headliner, accompanied by The War and Treaty, Cedric Burnside, and Lost Dog Street Band. We caught up with festival chairwoman Tiffany Finley, who had this to say: “The Master Musicians Festival presented by Don Franklin Auto prides itself on being an all-volunteer non-profit music Festival dedicated to bringing musical excellence to rural Kentucky for the last 26 years. What started as a community Festival in 1994, has grown to be a major statewide music festival. Our mission has stayed the same, but now we realize that it has become a major economic driver for our area. The state calculates that our two-day festival makes a 3-million-dollar economic impact on our community. We love that our community is proud of MMF and takes ownership of it. Whether it’s the local football teams helping with setup/cleanup, our Rotarians and our derby team manning the bar, or any of our 50 plus business sponsors…our whole community buys in to make it possible”. Forecastle has become the dominant name in music festivals in Kentucky since its conception in 2002. Started by Louisville resident JM Knight, it has grown from a small community event to hosting the absolute biggest names in music. In 2018, they boasted a star-studded line up which include Chris Stapleton, Jason Isbell, Margo Price, The Punch Brothers, Lucero from the country/bluegrass realm accompanied by Modest Mouse, Arcade Fire, T-Pain, and Jimmy Eat World just to name a few. Like a lot of other festivals on our list, Forecastle is not an exclusively country/bluegrass festival. Rather, it incorporates the absolute best from all genres to make a gumbo of sonic awesomeness. Oftentimes festivals can hit a wall if they’re overcrowded with bands that sound the same and seem to drag on. It takes a special kind of event to hold the concert-goers attention all weekend long, and Forecastle has got it down to a science. Located on Louisville’s iconic Waterfront Park, the venue for the festival is absolutely one of the most amazing settings you can imagine. There have been a lot of festivals at this location over the years, but none have exhibited the progression and staying-power of Forecastle. Needless to say, when the 2019 line up is announced, it’ll break the internet. Up until now, the list has been pretty subjective in regard to not being in a necessary order. You may prefer one festival over another based on personal criteria, and I wouldn’t put up much of an argument. However, the top spot on this list, in my opinion, is not up for debate. Period. So let me try to put Kickin’ It On The Creek in context. Remember the movie Charlie and the Chocolate Factory? Ever wonder what Charlie felt like when he unwrapped his golden ticket? If you were lucky enough to get a ticket to Kickin’ It On The Creek, you’d have a pretty solid idea. Simply put: if those that have experienced this music festival should consider themselves blessed and highly favored. I’ve been to thousands of shows and festivals of all genres since I was a teenager, but I’ve never experienced anything quite like this. Located in the most remote corner of Appalachia, Kickin’ It On The Creek is everything every music festival should aspire to be, even though they never could. That’s not a knock on any other festivals, but rather a testament to the unique environment that Kickin’ It exists in. What separates it from other events can be accurately summed up with one word: family. That’s a word that gets thrown around a lot with festivals and events, but rarely does that family atmosphere really shine through the way it does at Kickin’ It On The Creek. First, it is family owned and run. In 2015, The Roberts family lent their farm at the head of Wolfpen Branch in Lee County as the staging grounds for a new music festival. They constructed a stage out of rough-cut cedar and sheet metal. And very quickly, they became the best music festival in the state. The artists that come each year come to a reunion type setting. They’re able to hang out with one another, and their fans, in the most relaxed setting imaginable. The friendships that the Roberts family has formed with the acts that perform is very evident and is a huge reason for their success. Last year as Tyler Childers rose to unprecedented fame, he stayed loyal and continued playing at Kickin’ It On The Creek, which only sells around 1,000 tickets each year. This past year, they sold out in minutes. Those who were lucky enough to go got to witness one of the most incredible line ups ever put together. Along with Tyler (who headlined the event along with the ‘Lectric Wooks), the event also featured Town Mountain, Arlo McKinley and the Lonesome Sound, John R Miller, Senora May, Blake Berglund, Short and Company, and dozens more. Every single act on the bill was hand chosen by the Roberts family, and honestly the line up was so good, it may be impossible to top. A family run event, deep in the beautiful heart of rural Appalachia with an out-of-this-world line up is enough for Kickin It On the Creek to claim the top spot on this list. But what sends it over the top and puts it in a class of its own are the folks at the festival. Everyone there is beyond friendly, and the atmosphere is such, that once you leave, you leave with a lot of new friends. A quick story to sum up how great all the people that attend this festival are: my buddy lost his wallet the first night we were there. I had to leave for the evening, while he camped that night. When I returned the next day, he told me about losing his wallet and was understandably bummed. We went to his truck about lunch to grab some food. Laying right there in plain sight on his hood was his wallet…everything in tact (including quite a bit of money inside). Where he was parked, hundreds of people had walked by his car by the time we got there. Not one person touched it. That’s special and doesn’t happen by accident.